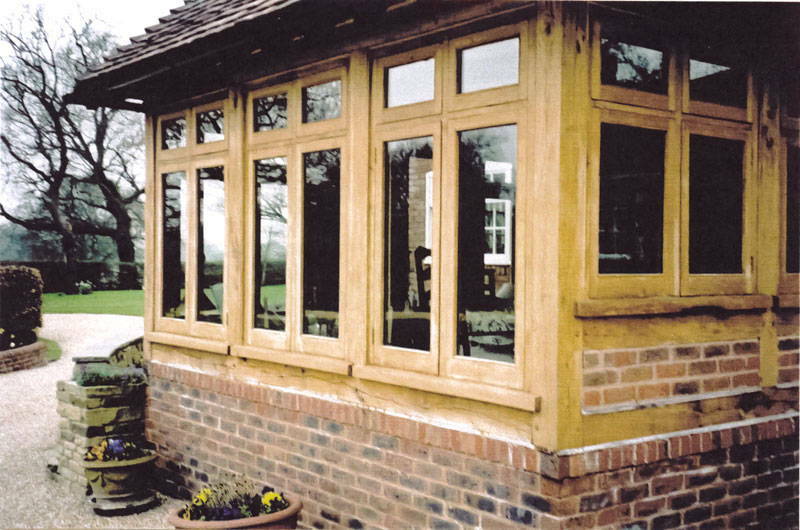 We can supply a wide range of different timber framing. 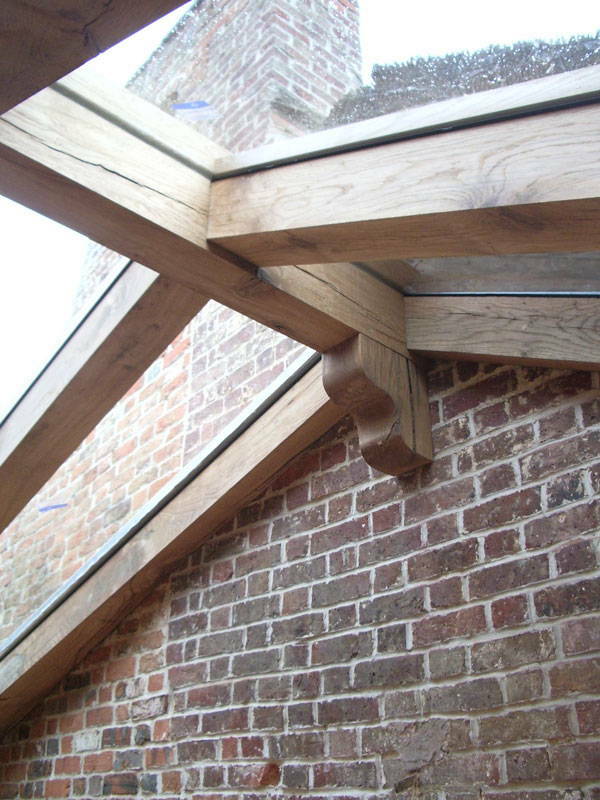 All timber framing at Jenkinsons is jointed by hand and produced using traditional methods that has been tried and tested over generations. 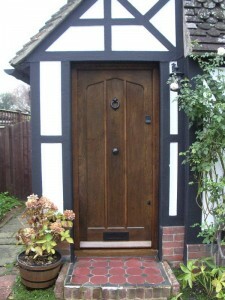 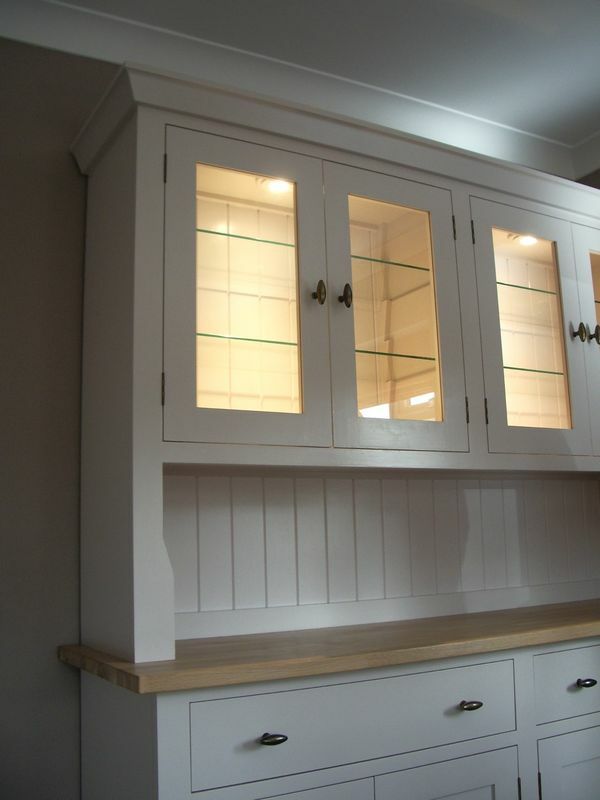 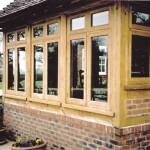 Typically we have undertaken projects like oak framed porches, conservatories and even oak framed garages. 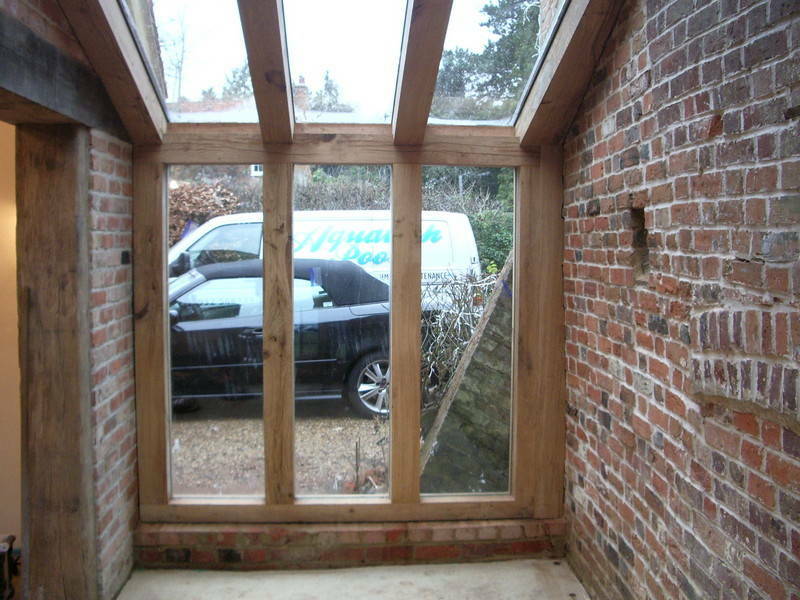 In previous projects it has not been uncommon for us to pre-assemble frames and also cut and pitch all of the roof beams and rafters for a building marking all of the joints along the way making it very simple to assemble upon delivery. 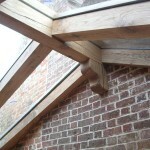 We have also assembled trusses sometimes pre-glazed for ‘gable end’ types of buildings. 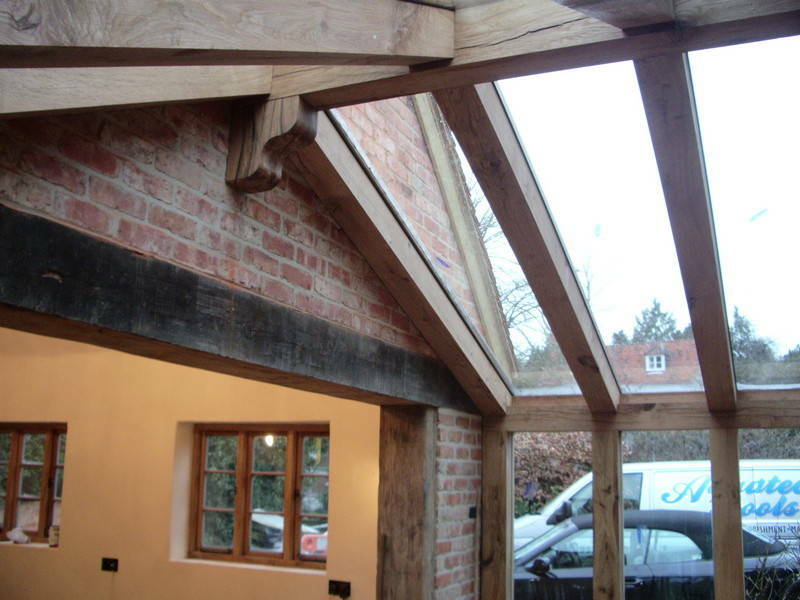 When it comes to oak timber framing oak beams can be supplied in any type of finish. 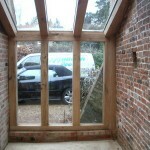 Framing can be supplied in kit format or fully fitted. 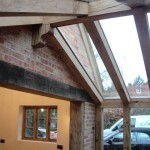 All sizes of timber beams are available. 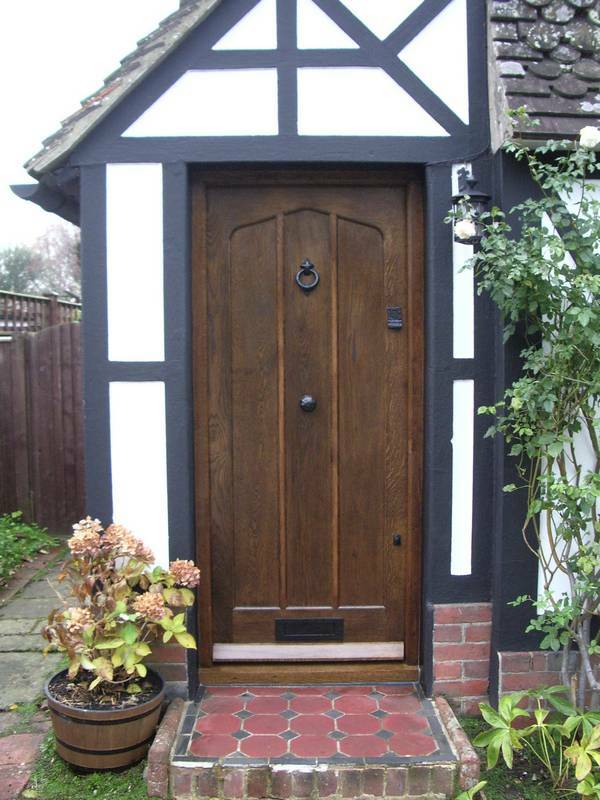 If you are thinking of having a timber framed type of build we can offer a full service right from the design process helping you all the way through the project if need be to ensure you end up with a build of the highest quality standard.